Toy name: Cabbage Patch Kids Dance Time Doll | Manufacturer or distributor: Wicked Cool Toys LLC | Retailer(s): Target, Target.com, CabbagePatchKids.com, Bonanza.com, Blinq.com | Age recommendation: “2+” | Warnings: None | Hazard: Potential for choking injuries | Though the dolls are marketed for oral-age children, they are sold with a “removable” headband which can be ingested. A central component for many are the gifts. Whether receiving or giving, gifts are how many individuals express their appreciation for friends and family. But for young children, certain gifts come boxed with risks galore. World Against Toys Causing Harm Inc. (W.A.T.C.H.) 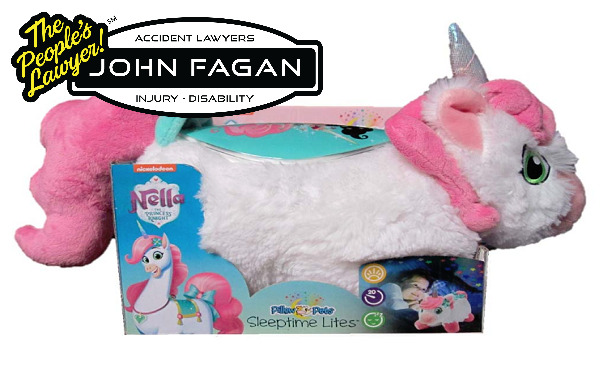 has revealed its nominees for the “10 worst toys of 2018.” Classic toy dangers, such as small parts, strings, projectiles, toxic substances, rigid materials and inaccurate warnings and labels, continue to put children at risk. Deloitte’s annual holiday economic forecast projects retail sales will increase 5.0-5.6% this holiday season, with online sales likely to rise 17-22% — meaning children are more likely to be exposed this gift-giving season as buyers will not have an opportunity to touch and physically inspect for obvious hazards at the time of purchase.